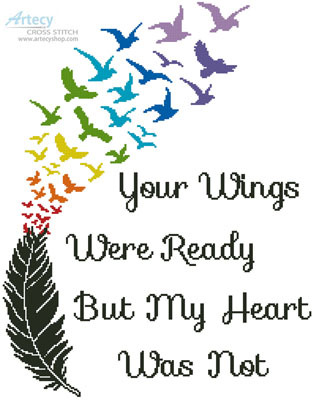 Your Wings (Rainbow) Cross Stitch Pattern to print online. This counted cross stitch pattern was created from Artwork copyright of amourfou - vectorstock. We also offer another horizontal rainbow version of this pattern which you can find here. We also offer another watercolour version of this pattern which you can find here. We also offer another watercolour horizontal version of this pattern which you can find here.